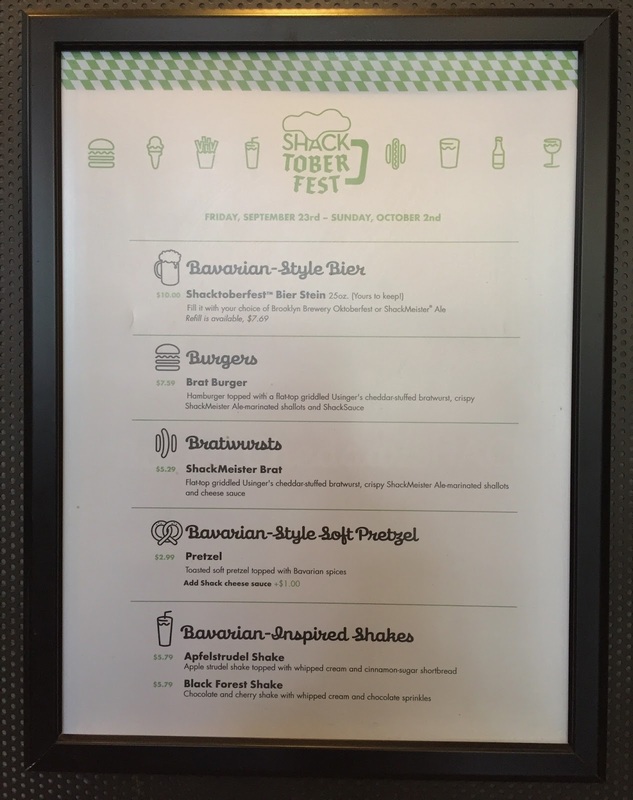 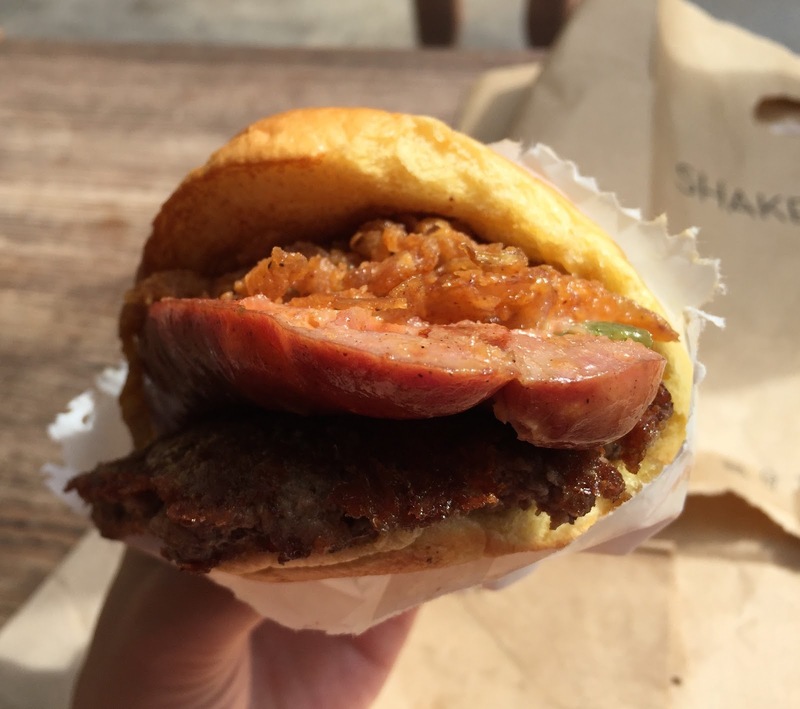 Shake Shack in the states is having "Shacktoberfest" from today, September 23 till October 2, 2016 and during the period, they're serving Oktoberfest-themed menus. You can keep the mug and during Shacktoberfest, you can get refill for 7.59 dollars. 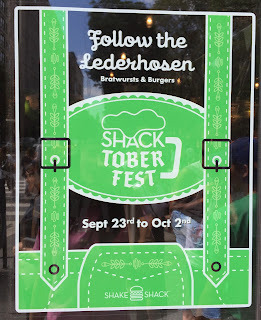 * Though I want the mug, I don't drink beer so that I won't buy this. 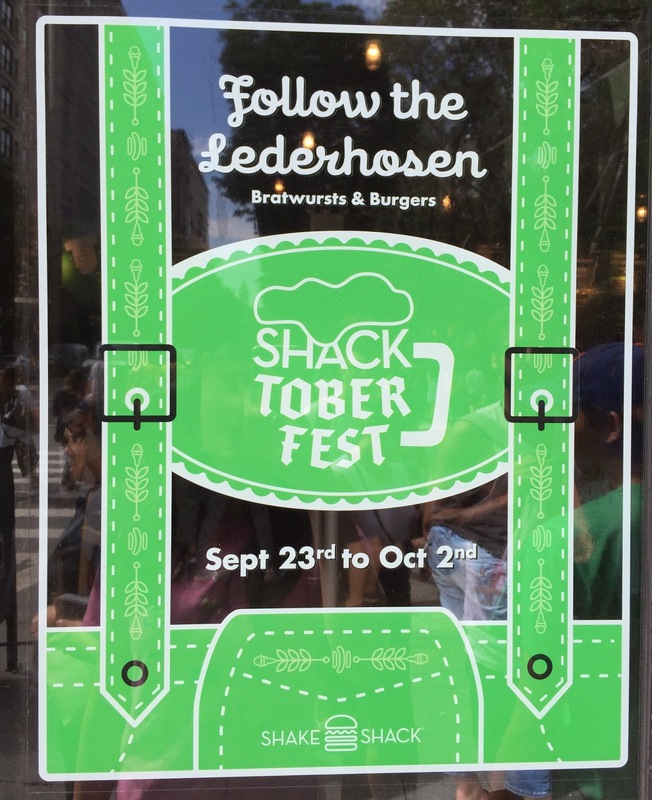 In the restaurant, there're Shacktoberfest flags. 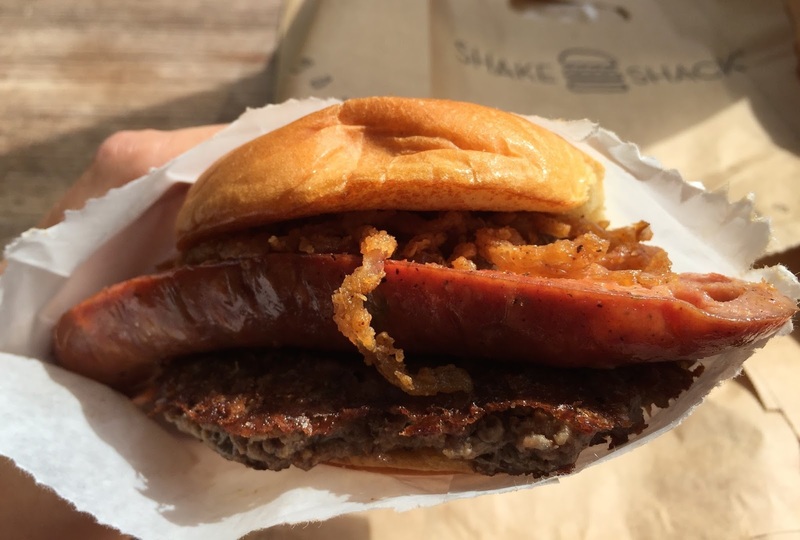 Custard Calendar had Shacktoberfest Shakes from today. 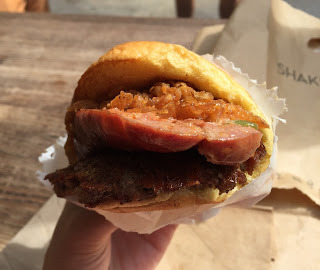 I got a Brat Burger without sauce. 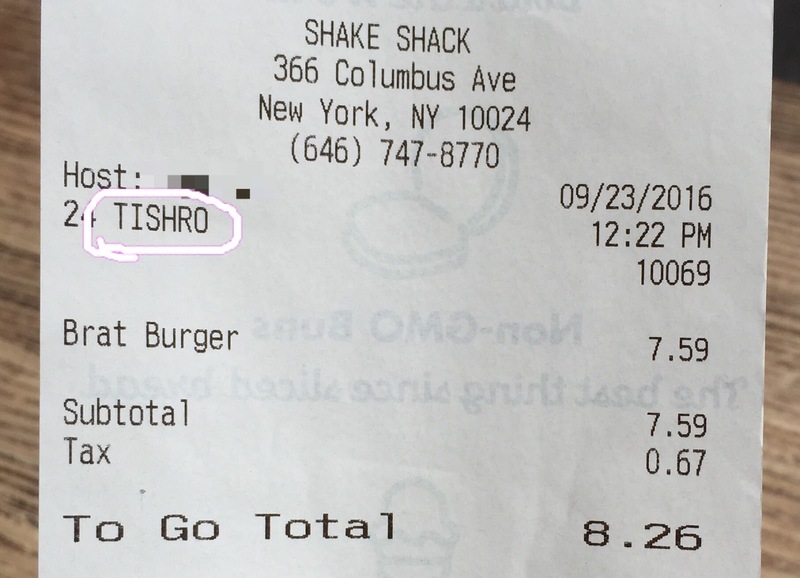 Today, they spelled my name "TISHRO." 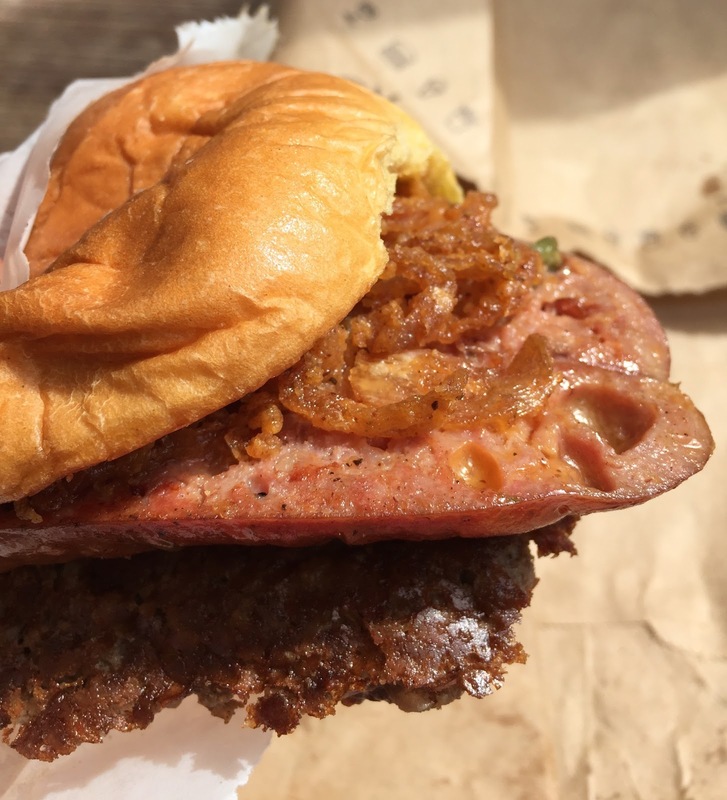 Usinger's is a sausage-making company in Milwaukee, Wisconsin, and the bratwurst (sausage) had a thick and chewy skin. 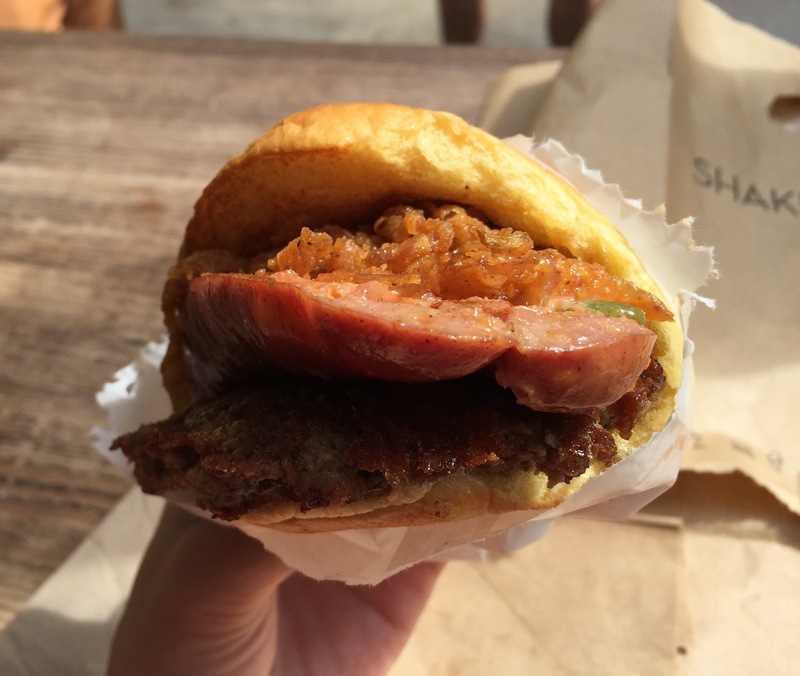 The bratwurst is filled with cheddar cheese, according to the description, but it's not that cheesy and just there're some melted cheese. 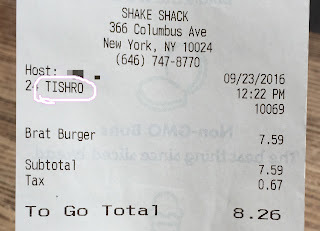 Shallots were crispy and they didn't have any bitter flavor or taste and I didn't have any problem eating though I don't like beer. The patty was crispy on the surface and juicy inside, and potato roll was fluffy but also pressed down. 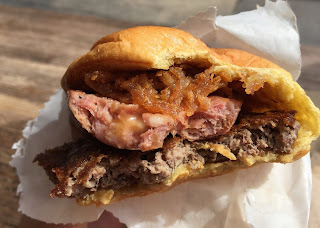 Once I bit the bratwurst, I kept tasting cheese with the sausage, whose skin was quite chewy and hard to bite off, and it actually was hard not to demolish the burger as except the cheese-filled sausage, they're all soft. It's only available for about a week and I enjoyed this tasty burger with bratwurst at once.